We’re delighted to bring you access to Sage Research Methods, a database dedicated to research methods across a range of subject areas. SAGE Research Methods supports research at all levels by providing material to guide users through every step of the research process. Read on to find out more, book a training session or join a webinar. SAGE Research Methods Cases are stories of how real research projects were conducted. The case studies show the challenges and successes of doing research, written by the researchers themselves. They explain why the researchers chose the methods they did, how they overcame problems in their research and what they might have done differently with hindsight: the realities of research that are missing from journal articles and textbooks. The Sage Training Resource Centre includes resources to find out more about SAGE Research Methods, including a user guide and this 2-minute demonstration video. We’ve arranged for a trainer from Sage to deliver 2 hands-on training sessions on Thursday 20th September. The session will cover content and tools you can use in order to improve your research skills, building your confidence and experience in using the database for future study and research projects. There will be time to explore the platform independently and to ask questions. (Link to book has been removed). 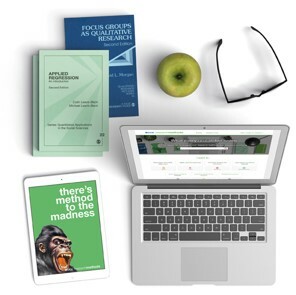 Each webinar introduces the SAGE Research Methods database, covering all the components and tools you can use in order to improve your research skills. As this is a one-year trial, we would very much welcome your feedback. Please contact the Libraries Collections team: collections@nottingham.ac.uk.